There are many ways you can help with the Antique & Classic Boat Festival. Take admissions, sell T-shirts, make signs, set up tables and chairs, etc. August 25-26. We ask for a commitment of 4–5 hours on each or both days. Help is especially needed on Friday morning and Sunday afternoon to set up and take down the show. 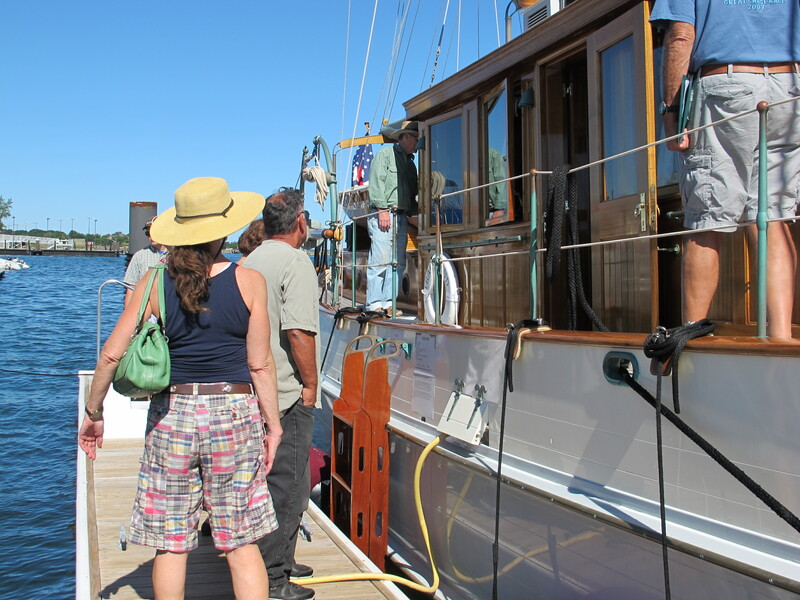 Volunteers enjoy free admission to the boats, music and other activities, AND win our deep gratitude! Other ways to help include taking out ads in the program booklet, publicizing the Festival with your mailing list or clientele, in-kind donations, etc. Please leave a message at our Contact Us page. 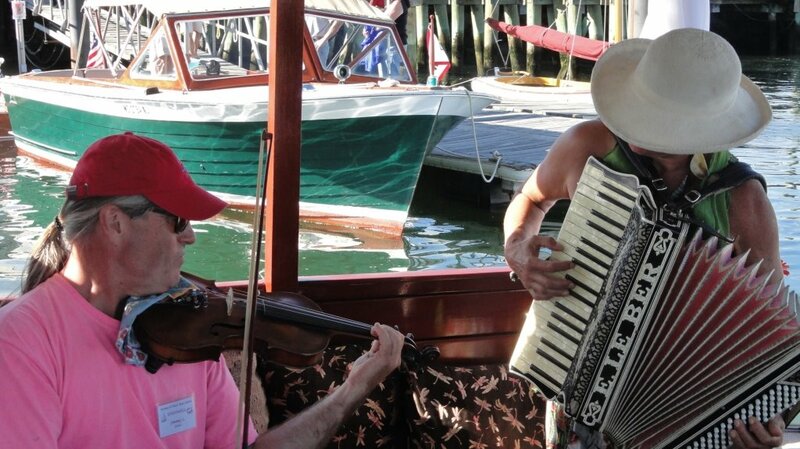 Help save our maritime heritage and support the Festival for $100! Friends are listed in our Program, receive a tax deduction for their donation and have the satisfaction of helping a good cause. Please download one of the files below. You can fill out the MS Word version on your computer and then print it out. Or, if you do not have Word, print the PDF version and manually fill it out. Then mail either, along with your check, to the address on the Friend form. Note: To type over the lines in the form in MS Word, go to File -> Options -> Advanced -> Use the Insert key to control overtype mode. The insert key then toggles overtype on/off. 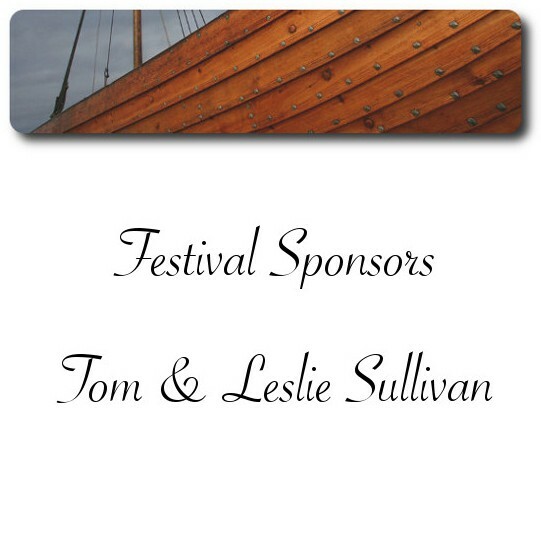 The Festival needs sponsors! Contributions are tax deductible. 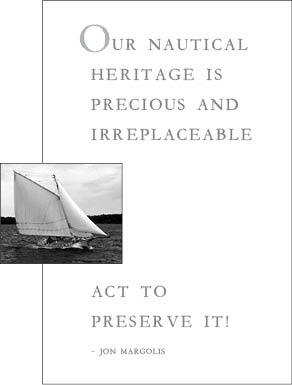 Help preserve our nation’s maritime heritage. 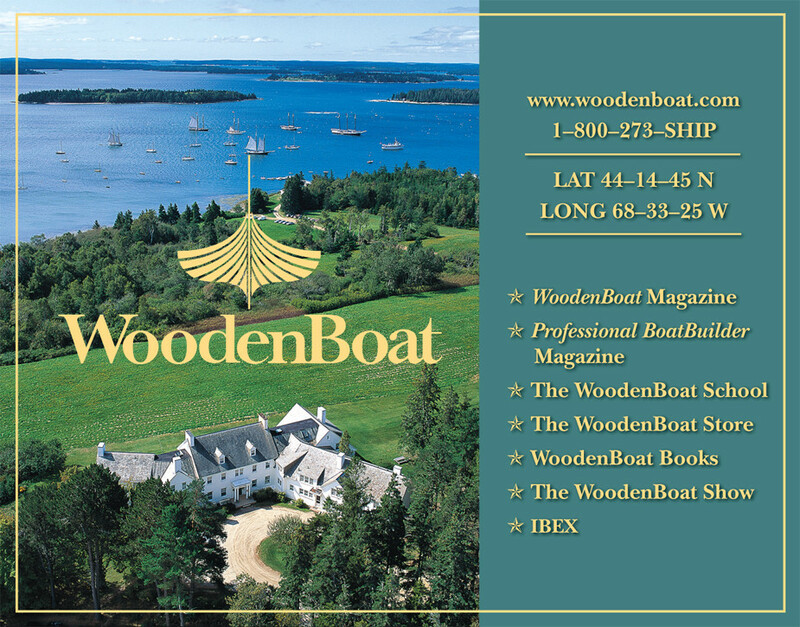 The inventory of vintage boats is dwindling. Few are to be seen in our harbors today. It is imperative to save those that are left! The Festival encourages people to restore and maintain the grand old craft, educates the public about its maritime heritage and brings children aboard as future stewards of this precious heritage. Our sponsors are individuals as well as companies and organizations. 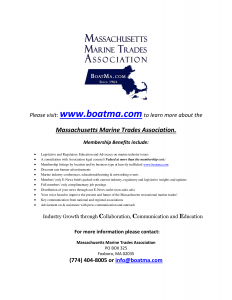 Current and past Festival sponsors have included SHM Hawthorne Cove Marina, Silent Maid, R & W Traditional Rigging and Outfitting, Massachusetts Marine Trades Association, Redfin, Home Advisor, Russo Marine, Marine Society of Salem, Hagerty Classic Boat Insurance, Salem Witch Museum, Jonathan J. Margolis, Boston Private Bank and Trust Company, Boston Waterboat Marina, Boston Pilots Association, Hyatt, Spaulding & Slye Colliers International, Jamieson Findlay, Hamilton Marine, Architectural Heritage Foundation, Boylan Family, Boston Sand & Gravel Co., Capt. 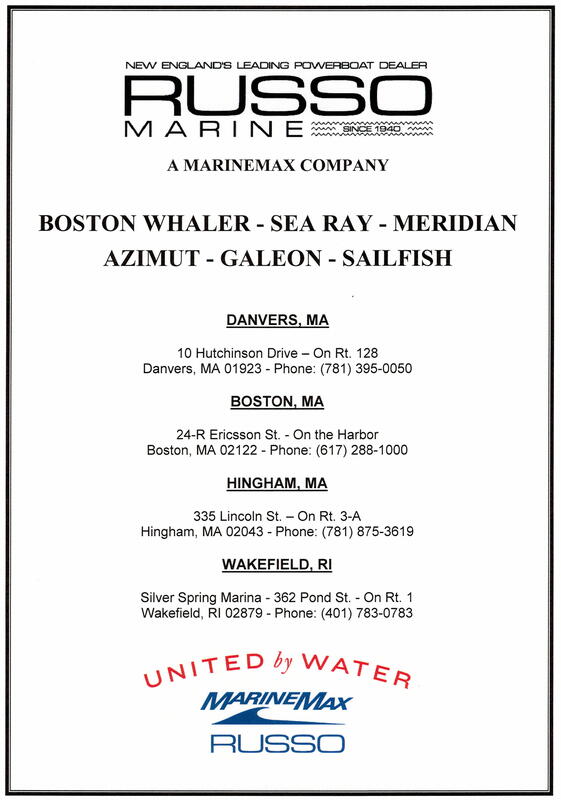 Norm LeBlanc & Associates, By-The-Sea.com, Crocker’s Boat Yard, Thomas Sullivan, Jr., Daniel Prigmore, US Harbors and others. Our sponsors not only contribute financially toward the material goods and services needed to stage the Festival, but their support fuels the spirits of the coordinator and volunteers who run the event. 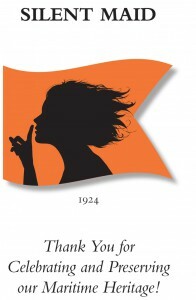 You put the wind in our sails to keep at this labor of love. There would be no Festival without you! Flagship Sponsorships range from $500 – $5,000. Sponsors receive an advertisement in the Festival Program as well as on our web site, a link to your web site, your name on the Sponsor’s Board at the gate as well as in the program – and our immense gratitude. 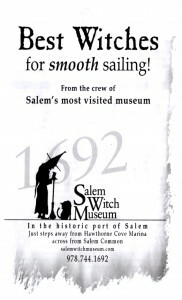 Brings the public to the various Massachusetts ports to experience their offerings, both historic and contemporary. 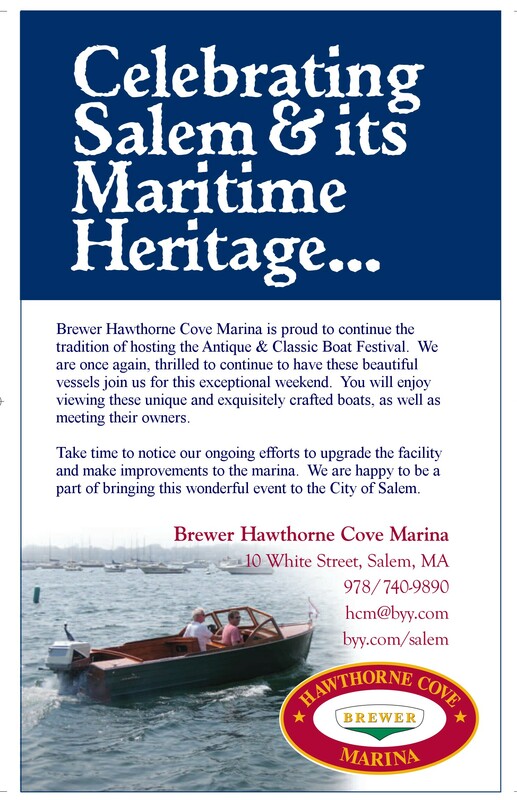 The Antique & Classic Boat Festival is a 501c3 nonprofit corporation. Please help! You can be an individual, company or organization. Sponsorship begins at $500. Please contact Frank Conahan at 978-831-7905 or Jean Fisher at 781-690-9707 or notify us on our Contact Us page. We would be honored and grateful to have you aboard. 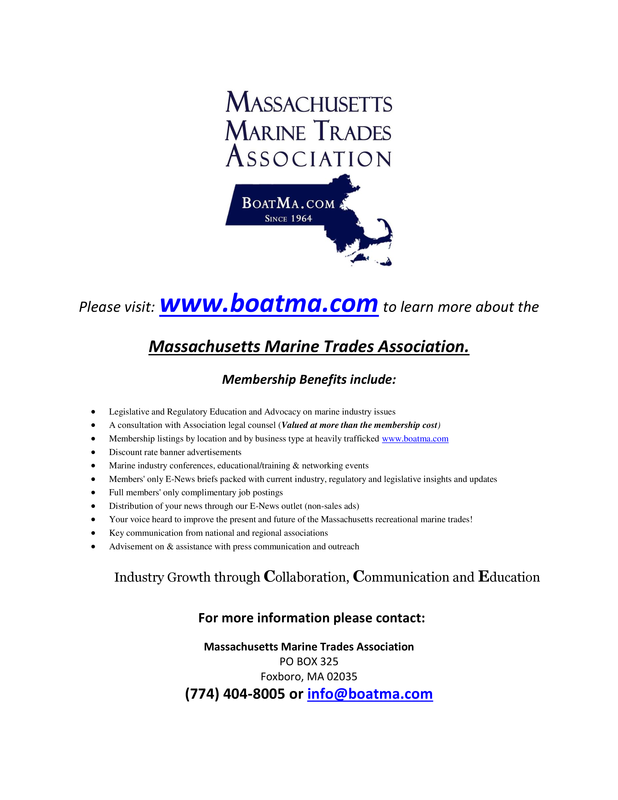 We have one additional sponsor, the Marine Society at Salem. A special thanks to By-The-Sea for their donating hosting for our boatfestival.org website.